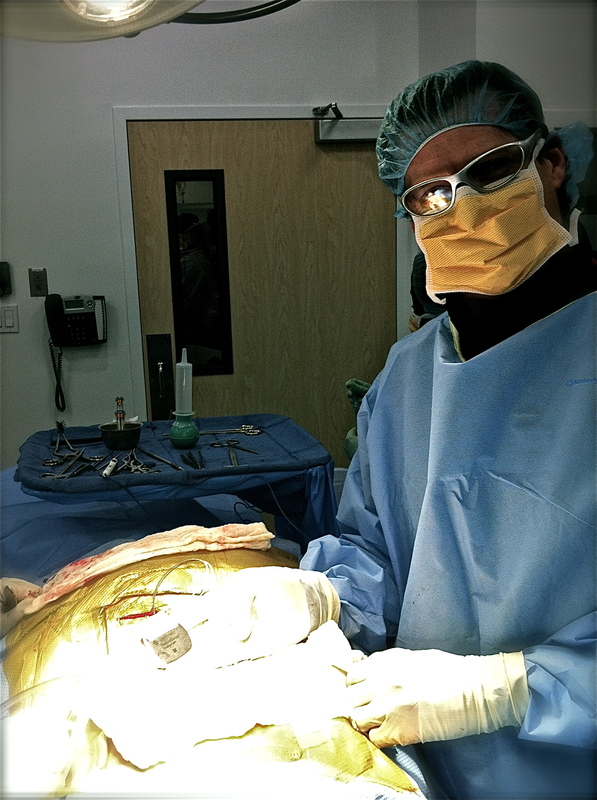 SANTA MONICA, CA – On August 14th, Broadway Surgical Institute became one of the first California Ambulatory Surgery Centers to implant the first and only FDA-approved spinal cord stimulation (SCS) system designed for safe access to MRI scans on any part of the body. Just eight days after Medtronic officially released the new product, Dr. Timothy Davis, Founder of the Center for Spine and Joint Restoration, pioneered the way as he implanted the system in a patient suffering from chronic lower back and leg pain. The patient was implanted with a Medtronic RestoreSensor® SureScan® MRI neuromodulation system with AdaptiveStim® technology. The procedure involved implanting two leads, each containing 8 electrodes, in an area near the spinal cord called the epidural space. The electrodes are independently programmable to cover the targeted pain area. The Medtronic RestoreSensor SureScan MRI system adapts to a patient’s movements by using a proprietary sensor to automatically detect and respond to changes in the patient’s body position ensuring the patient’s pain area is covered constantly, with fewer manual adjustments. The technology is similar to that used in consumer electronics and smart phones. This new system is also specially designed with enhancements to reduce the hazards produced by the MRI environment, including a proprietary SureScan feature called MRI Mode, which turns the neurostimulator off and enables radiology departments to easily and conveniently confirm whether a patient’s implantable system allows for safe MRI scanning and the appropriate conditions for the scan. MRIs were prescribed over 60 million times worldwide last year, because they provide the diagnostic visual tool physicians need to look at the musculoskeletal frame work of the body in finite detail. Prior to the introduction of SureScan MRI technology, most MRIs were contraindicated for SCS. The new system allows a patient to have future MRIs should a persistent condition require them to seek further medical treatment beyond interventional/minimally invasive spine procedures. Spinal Cord Stimulation (SCS) is used to help control chronic pain through small electrical impulses. The therapy is FDA approved to treat chronic, intractable trunk and/or limb pain, often associated with previous surgery. The electrical impulses driven from the implantable pulse generator override and confuse the patient’s chronic pain signal, essentially resulting in the patient feeling a pleasant tingling sensation. SCS has been an evolving technology in development since the early 1960’s. If you are suffering from chronic pain and looking for other options beside medication, “think beyond the pill.” Ask your doctor or one of the professional physicians at Broadway Surgical Institute if SCS is the right treatment option for you. 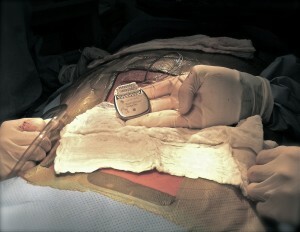 Broadway Surgical Institute is one of the surgery centers nationwide implanting the new Medtronic RestoreSensor® SureScan®. Dr. Timothy Davis is an expert in minimally invasive approaches to treat neck, back, and nerve pain. Dr. Davis is Board Certified by the American Board of Physical Medicine and Rehabilitation, American Board of Pain Medicine, and the American Board of Neurophysiological Monitoring. Dr. Davis is also an advisor and proctor working hand and hand with the medical device companies and physicians around the world in the ever evolving development of neuromodulation devices.